I haven't been posting here lately, because I've been living the life of a transcendentalist luddite in the Maine woods for the past two months. But it is a known fact that despite other ascetic restrictions, pie (though probably only vegetarian) was a foundational item in the transcendentalist diet, especially for breakfast. So too was it for our own Walden/Fruit Lands-esque experiment. 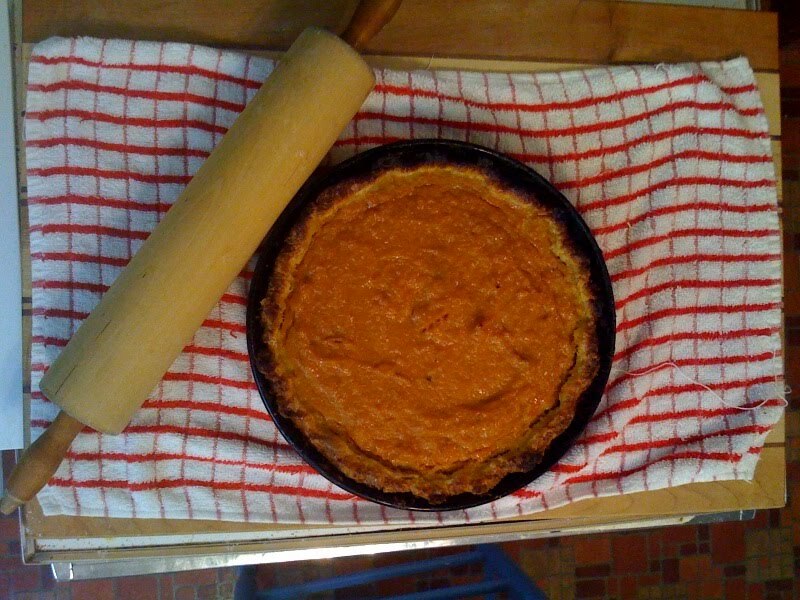 While up at my friend's cottage in Southwest Harbor on Mount Desert Island (Acadia), I whipped up this sweet potato pie, after realizing we had no dessert to accompany our local seafood feast. I took the recipe from New Englander and 'Domestic Scientist' Fannie Farmer, whose cookbook was on hand. We ate it by the fire with Mille Bornes and banjo serenades. Preheat the oven to 425. Combine all the ingredients and mix until well blended. Pour into piecrust. Bake for 10 minutes and then reduce the oven temperature to 300. Bake for another 50 minutes or until the filling remains firm when shaken. Top with bourbon/maple whipped cream and enjoy!